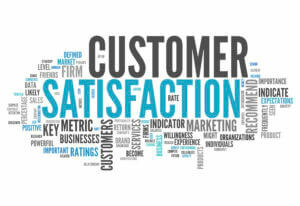 The yearly customer satisfaction survey is very important for Rhein. S.Q.M. as we can see important parameters and the development. The customer and the relationship is always our focus. The customers were actively asked to judge our performance by a questionnaire. Questions were answered on a scale between 1 (=very good) and 5 (=inadequate). Rhein S.Q.M. is very proud of the average grade of 1,3. The diagram shows selected results. We should, in particular, welcome the fact that we managed to keep the great marks from previous years. This guarantees a constantly high level of quality for our customers. In contrary, we are permanently working on the improvement. Extraordinary is our mark in Service Quality. Improvements in this area of marks require an enormous effort. It shows that Rhein S.Q.M is doing the “Extra mile” and it was worth it! In 2012 we will continue the close dialogue with our customers and are already working on the constant high level quality.